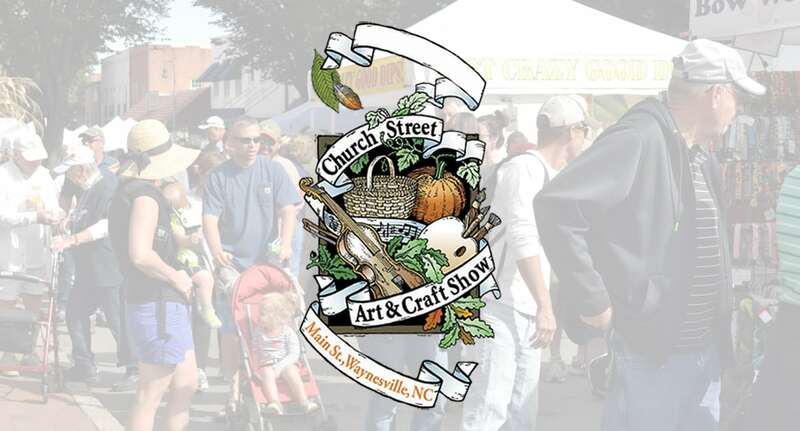 The annual Church Street Art and Craft Show is held in October every year in Downtown Waynesville. Established with the intent of providing a venue for artisans and crafts people to display their work, the festival has now grown to include more than 120 craft and food vendors. This one-day show is now recognized as one of the finest juried shows in the southeast. Main Street Waynesville is transformed from 10am – 5pm into an arts and crafts marketplace featuring two-dimensional and three-dimensional work such as pottery, jewelry, wood, fiber art, watercolors, and photography. Local and regional artists share their crafts and traditions with visitors and locals alike. With the backdrop of the Smoky Mountains bathed in beautiful autumn splendor and crisp mountain air, visitors can experience the traditional values and cultural arts unique to the area.